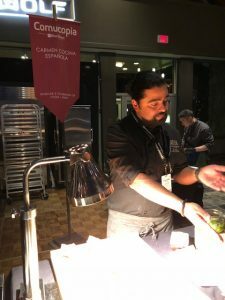 Started off my Whistler Cornucopia experience by attending the Best of BC House Party on Thursday November 16 at the Whistler Conference Centre. 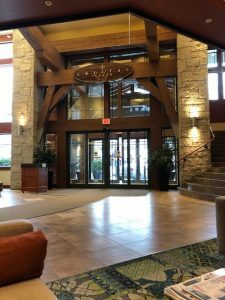 Stayed at the beautiful Crystal Lodge Hotel, centrally located across the walkway from the Whistler Conference Centre where many of the Cornucopia events were taking place. 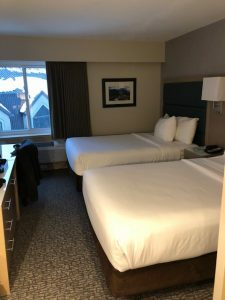 I had a well appointed room with a couple of Queen beds, sitting chair, mini fridge, tv, bathroom with shower, and tub. 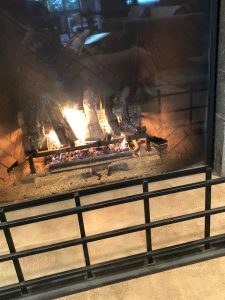 I worked out in the fitness room early morning then sat in front of the fire place in the hotel lobby in the afternoon. 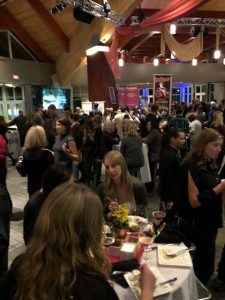 In the evening, it was time for the next signature event of the festival the Night Market -around the globe. 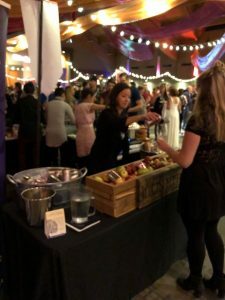 There guests had a chance to taste a variety of difference cuisines from around the world. 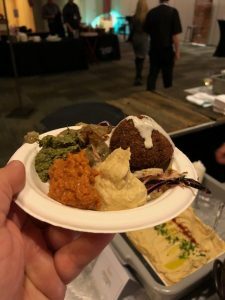 Loved JamJar’s Lebanese plate of Falafel, hummus and salads. 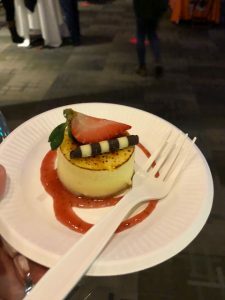 Tried a Venezuelan Arepa which was my second savoury item, on the sweet side Center Plate presented a baked Cheesecake which many enjoyed. 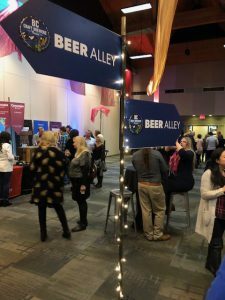 The event also featured breweries, distilleries and wineries as well. 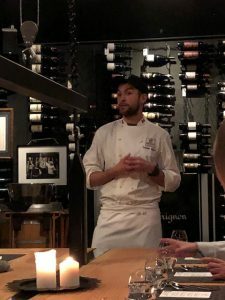 I then attended a phenomenal Chocolate Desserts tasting at the Bearfoot Bistro that was presented by Executive Pastry Chef Dominic Fortin along with Cacao Berry Chocolate and the Bearfoot Bistro, this was an incredible Cornucopia experience. 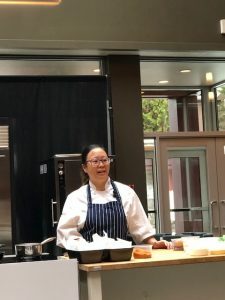 On Saturday morning, I attended the Nourish session lead by Chef Alana Peckham – Holiday Brunch Flavours. 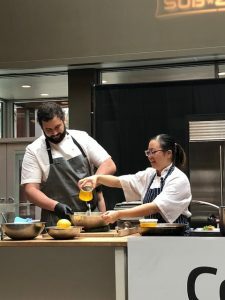 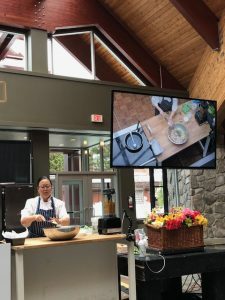 Chef Alana demonstrated each of the dishes explaining procedures and the ingredients, her presentation was done very well. 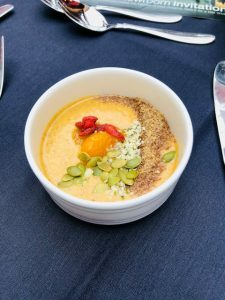 Alana made a few different dishes starting off with the Vegan Pumpkin Pie Smoothie bowl, she explained this had no processed refined sugar, uses flax seed oil and-almond milk. 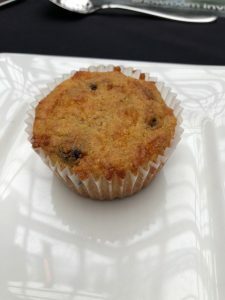 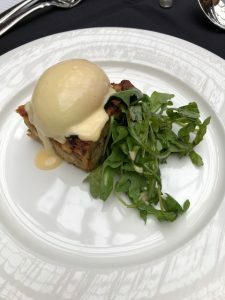 The next dish was the Holiday Apple corn muffin; followed by the Eggs Benedict with hollandaise sauce and Holiday stuffing bread pudding. 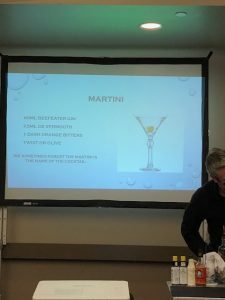 Later in the day, I attended a seminar called “Delicious by Design: The Martini Glass and What It Inspired” here each of the presenters talked about various cocktails and spirits and then we tasted a variety of them. 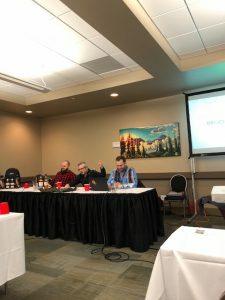 This session was presented by Jacob Sweetapple, Keith Trusler and Colin MacDougall. 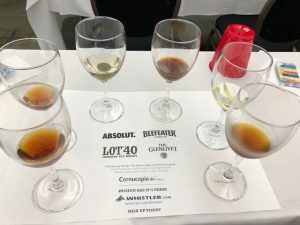 They Presented the 1st cocktail which was The Manhattan — Colin described the drink and how he made it put lot 40 rye with butters into the Mister, it was booze forward and concentrated. 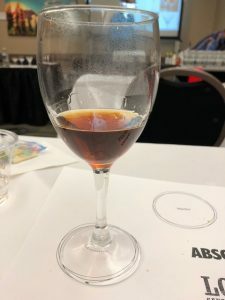 Jacob talked about the glassware, then presented the 2nd cocktail, the Martinez. 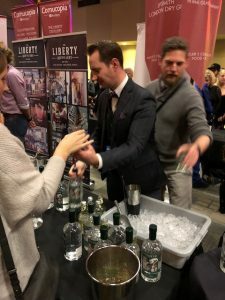 On to the 3rd cocktail which was the Martini and lastly the 4th cocktail which was the Kangaroo cocktail (same as a vodka martini) with the remainder of the drinks. 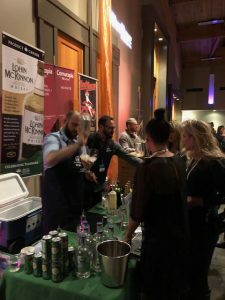 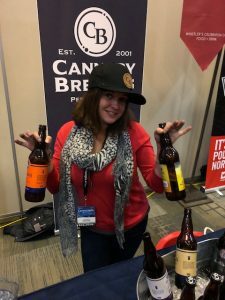 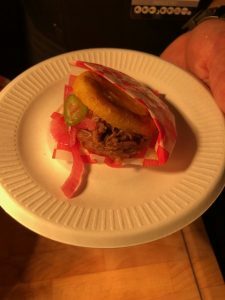 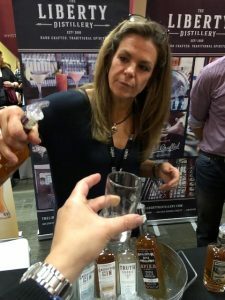 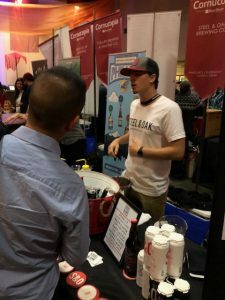 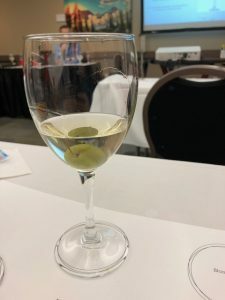 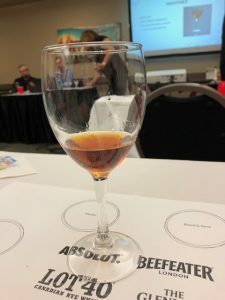 In the evening, I attended the last signature event of the festival called “POURED Beer & Spirit Tasting” and that is what it was all about, many producers and vendors offered up tastes for guests to enjoy. 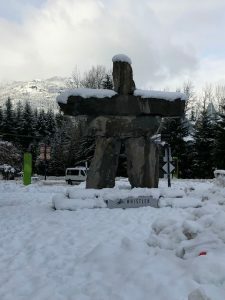 After an almost 8 year absence it was wonderful to return to Whistler to attend this exciting Whistler Cornucopia festival, watch for next year’s festival that will take place in November 2018. 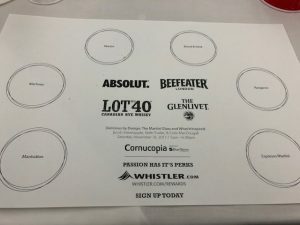 Disclosure: Tourism Whistler provided me with complimentary accommodation at the Crystal Lodge as well as a media pass to attend Whistler Cornucopia and it’s related events.